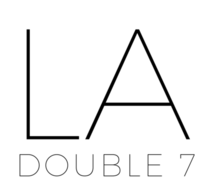 Head – LA Double 7, Inc. Create a dazzling look by pairing this gold-sprinkled scarf with your ensemble. Shiny gold embellishments decorate this lightweight scarf and the fringe along the edges finishes the look. Woven with a polyester yarn, and offers a soft and graceful feel. Add this special accessory to complement your outfit of the day. Available in an elegant cream shade, or an exciting mint tone to mix-it-up. Featuring black woven stripes outlining the edges of this cream scarf, this oblong accessory is made of an elegant rayon-like material. Lightweight and airy, create a sophisticated look by accessorizing with this neutral piece. Create a cool look this sunny season with this soft and lightweight fashion accessory. Features an array of dove silhouettes atop a navy blue backdrop. The sheer fabric resembles a chiffon-type material, creating a classic look. Wrap as a hairpiece or a simple scarf–either way, you’ll look stylish! Created with a semi-sheer elegant polyester fiber, this floral paisley scarf is ideal for the sunny seasons. This oblong scarf is made of soft lightweight, semi-sheer fabric. Compose a sophisticated look by pairing this accessory with your daily ensembles. Available in four classy colors. Style your outfit of the day with this cute semi-sheer fashion scarf! Available in eight colors, this scarf is one of those accessories that you can wear over and over again, with many outfits! Comprised of an acrylic and nylon material, creating a lightweight and airy feel. Wear this as you run errands, wrap over your work outfit, or layer over your evening look. The pairing combinations are endless! A lightweight and wear-with-anything color makes this soft scarf a versatile piece, perfect for transitioning between seasons. Available in four stylish shades. Luxurious and light fabric, soft to the touch and creates an elegant feel. Features small frayed fringe along the hem for a boho-look.